2018-12-11: Good news! The mask is available again in an optimized version (optimized for enhanced producibility, same functionality). Focusing aid for the popular Samyang 135mm F/2.0 lens. 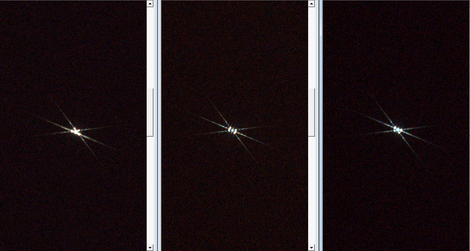 This so-called Bahtinov mask is a helpful tool for astrophotography. A good description of what a Bahtinov mask is and how it works can be found at its Wikipedia entry. It was invented by Pavel Bahtinov to get rid of the tiring procedure of traditional focusing where you try to find the minimum spot size. This mask can help you with focusing on stars easily when it is placed in front of your telescope. The working principle is that the light of the stars is diffracted in a special way and creates a characteristic pattern which can be easily judged to recognize a perfect focus position of your telescope. There are even some software tools that can assist you with the stripe alignment during focusing. 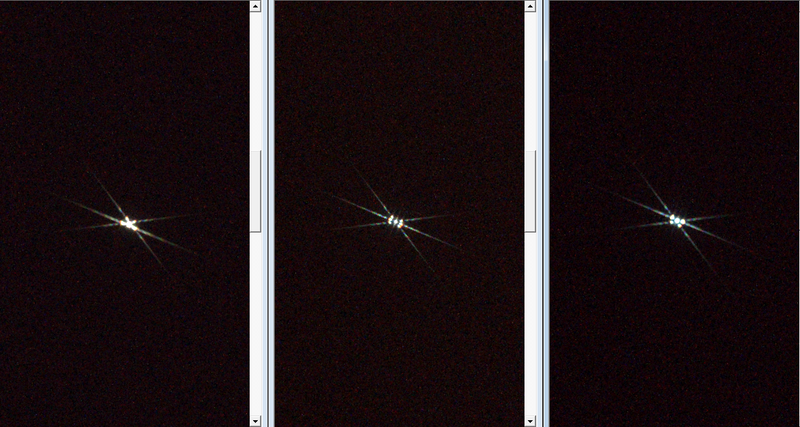 In your liveview of the camera you can see a diffraction pattern similar to the one shown to the left. It consists of three stripes. Start focusing. You have reached the perfect focus position when the three stripes cross each other exactly in one position. As a member of the OSHWA I'm totally convinced of the idea to offer products as Open Source Hardware instead of protecting them by patents. 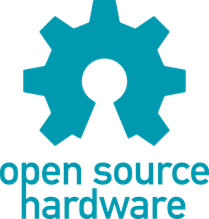 The OSHWA (Open Source Hardware Association) is one of the most well-known organizations that support the open-source-hardware ideas. You can find there additional informations about the creation history of this variant. 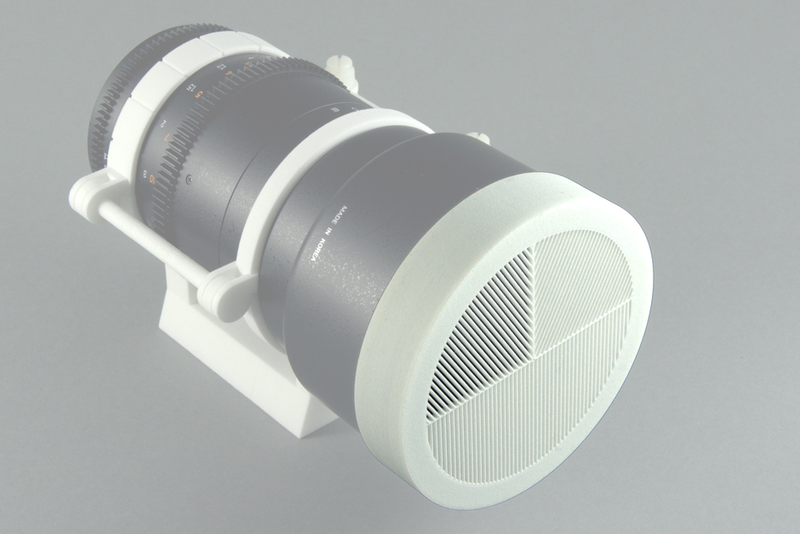 It was derived from the great work by Thingiverse users brentb and Ryoko. You are invited to work on this mask, if you have any ideas. I'm always pleased to get some input, whatever to criticise is (I'm open to both positive and negative critics!). GitHub contains a pretty good issue tracker, you may enter your suggestions or issues there directly! 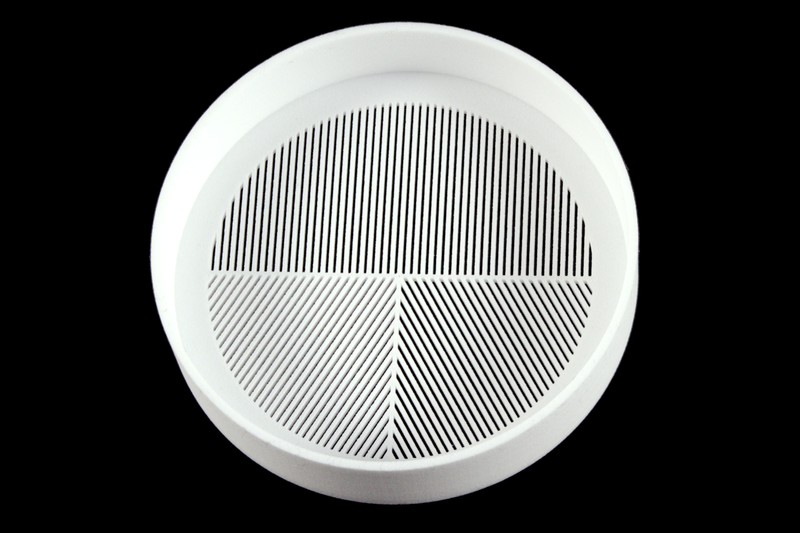 Storage conditions: Store the mask protected against dust and moisture. Avoid high temperatures above +50°C. Keep the product away from little children. They may break the fine bars and hurt themselves! The masks are produced using the latest 3D manufacturing technology, the so-called SLS (Selective Laser Sintering). 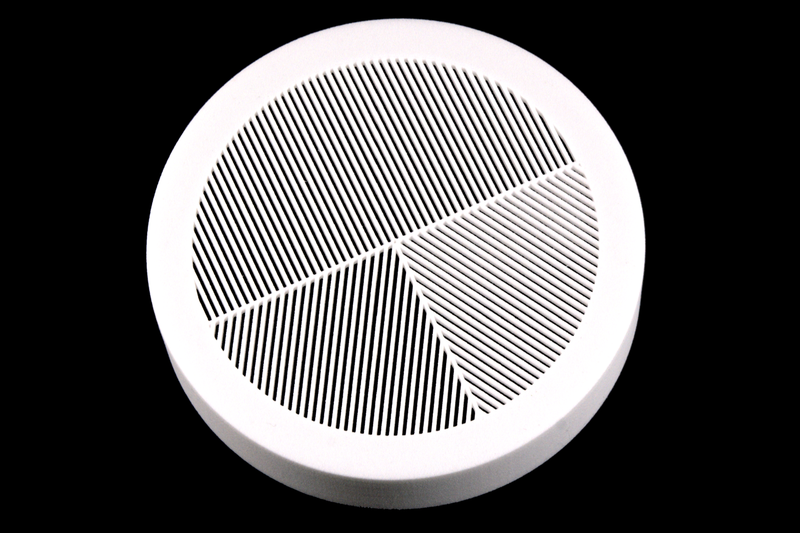 This means that the surface has a porous touch which has no influence on the optical performance. The white color also has no influence on the optical performance at all. When permanently exposed to daylight, the material may become yellow a little bit. This does not affect the optical or mechanical performance of the mask! I recommend to clean the mask only with pressure air or even by blowing the dust away by yourself! If you have any further questions, please have a look into my FAQ collection or contact me directly! Copyright Notice: SAMYANG is a trademark of SAMYANG OPTICS CO., LTD.